I was walking down the Strand the other day past Kings College and noticed a series of large photos running across the front of all the famous politicians, philosophers and comedians who went there (Wellington, Florence Nightingale, Desmond Tutu et al) and noticed amongst them Kele Okereke, presumably to get their cool quotient up. I have rather lost touch with Bloc Party since their first album, but always enjoy it when a Kele solo track comes on the radio and this is a particularly good one called ‘Doubt’. The follow up ‘Closer’ is good also. I must get round to checking out the album. Scroll down for Andy & Roy’s choices and check out the rundown so far here. 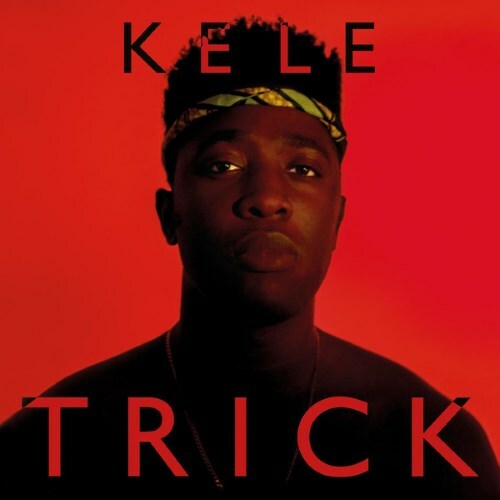 Oh Kele, where did it all go wrong ? This is ok and not quite as underwhelming as the most recent Bloc Party outing, but still, somehow, I expect so much more from someone with his talent. My number 17 is ‘The Faker’ by Ty Segall. The prolific Mr Segall only released the one album this year, ‘Manipulator’ – eschewing his trademark lo-fi Garage Rock, went for a bigger Zep/Glam-rock sound, best evidenced by this T-Rex style stompalong. Oh dear – you may have to struggle through a few more of my choices ! ‘Guitar’ music (in all its various forms) is in a really good and interesting place at the moment with retro and hybrid sounds merging – you only have to have a cursory listen to 6 Music or look around the various end of year lists to see evidence of this. Contrast with electronic dance music which has become largely stilted, predictable and formulaic – with, mainly Nordic, exceptions. I really didn’t struggle with it – it chuntered along quite nicely as I did my VAT return, but I just didn’t engage with it. I totally take your point about EDM, which seems all over the music channels at the moment and has exactly the same compulsory structure, where the song pauses around two minutes in before hyperventilating and accelerating to go up an octave. Insomnia seems to be a huge influence at the moment and not for the good. However I don’t see it as an either/or between guitar and electronica, I prefer hybrids of the two. Is Elbow ‘guitar music’, is Numan, is Kasabian? I guess for me solus guitar music ( i.e. without any keyboards, brass, strings or electronics) just seems dreary, like a pencil sketch waiting to be brought to life with colour, as indistinct as EDM is at the other end of the spectrum. For me the best music is not straight-jacketed by any genre, which is why Arcade Fire was such a standout last year. It would certainly be interesting to hear Rollo’s take on the current wave of electronic dance music or indeed Aphex Twins’ take on the uniform ‘laptop’ electronica that’s being churned out by the bucket-load. ‘Guitar’ music (your definition !) has always been made interesting when merged with electronics; whether that’s an effects pedal or a full blown hybrid – Numan, Horrors, Kasabian etc. I’m assuming this is ‘I’m Aquarius’ in which case – excellent choice. I actually really liked the whole album including ‘Love Letters’ ! A lot better than Love Letters, but it will take a lot more like this before they are forgiven. No idea what you’ve been listening to, ‘Love Letters’ is a modern-day Northern Soul classic !!! This is also great !